...Notre Dame during the summer? Again, the answer... a lot. Yes, a lot of new construction projects started this past spring and summer, and update on one of them- the new school of architecture building. The Walsh School of Architecture, located south of the stadium and Legend's, will be the new home for the school of architecture. 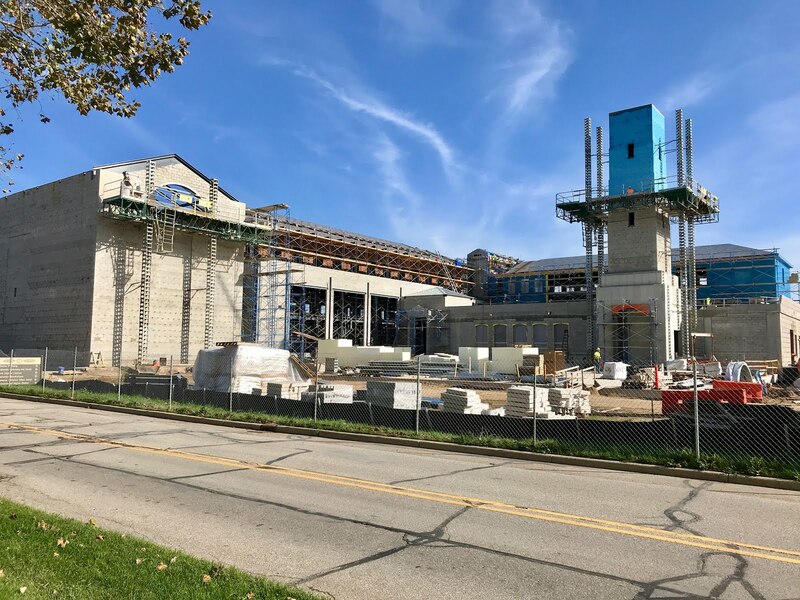 Hopefully, construction has continued to be ahead of schedule, and as it continues you can see two of the unique aspects of this building... the tower on the right and the "hall of casts" on the left. If you want to jump ahead and see the finished project and learn more about the tower of hall of casts, take a gander by clicking HERE. On the new home for the school of architecture, St. Edward said, "A tower? Really? 'Archies' always have to be different!"